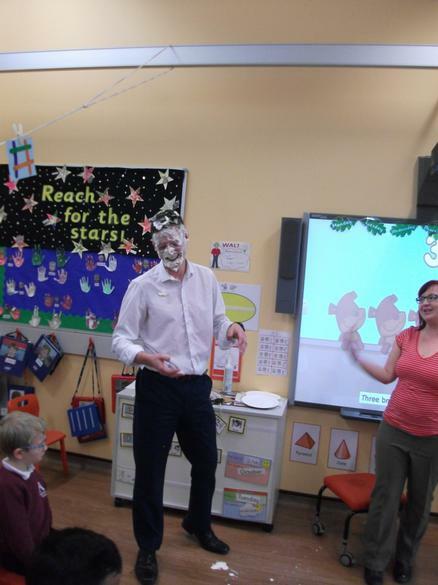 We are spending a week looking at jokes and humour as part of the VoiceBox Speech and Language national charity work. This fits well with developing communication with our students. 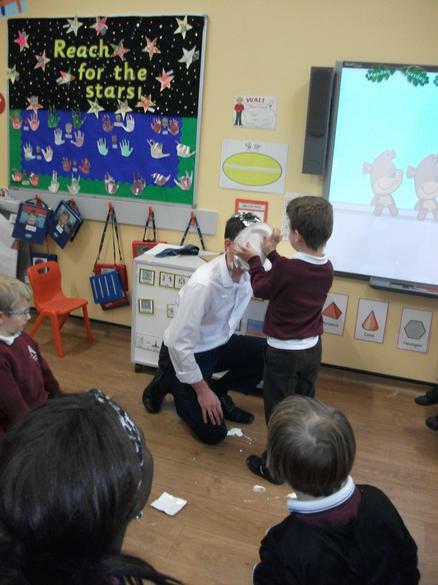 A variety of activities are taking place including Deputy Head Teacher David Deacon learning all about slap stick humour and custard pies from Class 1B - see the attached photos.